Be it a toenail fungus or fingernail fungus, it is very painful and embarrassing to deal with it. This problem develops when mold or fungus grows rapidly under the nails leading to discolored and distorted nails. Prolonged exposure to moist/dark environments and using un-sanitized nail spa tools are the main causes of a nail fungus. Onychomycosis, more commonly known as toenail fungus, is more common than fingernail fungus. why? Because of less blood circulation in the nails, our immune system cannot detect and fight with the infection. If left untreated, it leads to pain, foul-smelling odor and even loss of nail. As per MayoClinic, many people have successfully cleared this issue by using some of the onychomycosis home remedies we’ve listed here. Step 1: Using a nail clipper, clip off the dead part of nail. While doing this process, avoid cutting the skin surrounding the nail. Step 2: Using a coarse nail filer, file the dead part of the nail which you couldn’t remove with a clipper. It is better to use medium or fine grade filers. Step 3: Using soap water or lotion, clean your nails to remove the dirt and dust. The diseased nail should be clipped and filed regularly. Now, let’s have a look at the DIY treatments. Listed are the various methods with a detailed description. Try any of these DIY nail fungus treatments and continue to treat regularly until you achieve the desired result. 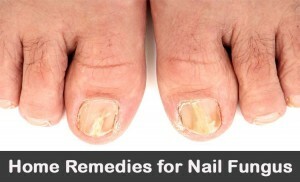 The following remedies work for both toes and fingernail fungus. Vinegar contains antifungal properties which kill the fungus. The acidic nature of vinegar balances the pH levels of the nails and skin which becomes less hospitable for fungal growth. It also provides relief from itching and speeds up the healing process. You can use any type of vinegar as they all are acidic. How to Use Vinegar to Treat Nail fungus? Take a bowl which is big enough to soak your nails or fingers. Add 1 part of vinegar and 2 parts of warm water into the bowl. Make sure the solution is enough to completely cover the nails. Soak infected nails in the solution for 15 – 20 minutes. Remove from the solution and rinse them with clean water. Make sure to remove all the traces of vinegar. Dry the nails completely with a towel or hair dryer (set the temperature to low). Repeat the process 2 times in day until you achieve the results. Note: If the vinegar is causing irritation, then dilute it with more water and repeat the process only 2 – 3 times in a week. Listerine contains different types of alcohols which possess antiseptic properties. Thymol present in it acts as fungicide. Eucalyptol contains 90% of eucalyptus which reduces the swelling and pain. The salicylate contains organic acid which sheds the dead skin cells and encourages the new cell production. It also contains non-steroidal anti-inflammatory with analgesic properties. How to Use Listerine to Treat Nail Fungus? Take a bowl enough to soak toes or fingers. Add equal amounts of Listerine and vinegar. Soak your toes or fingers for 15 – 20 minutes. Now, remove them from the solution. Using a soft-bristled toothbrush, gently scrub the nails to remove the dead skin cells. Repeat the process 2 times in a day. Try the process regularly with some patience as it may take few months to completely heal the infection. For added benefits apply vicks to the nails at night and wear socks/gloves. Leave it overnight and rinse in the morning. The antifungal and antibacterial properties makes tea tree oil the best remedy to treat nail fungal infections. How to Use Tea Tree Oil to Treat Nail Fungus? Add few drops of tea tree oil into any other carrier oil (coconut, olive or lavender oil). Soak a cotton ball in the solution. Place the soaked cotton ball on the affected nail and gently press it against the nail so that the liquid comes out. Remove the cotton ball. Using a toothbrush, gently scrub the affected nail. This step helps the oils to reach deep into the nails. Leave it to dry completely. Repeat the process 2 times in a day. Note: In some extreme cases, tea tree oil can cause redness, skin irritation, itchiness and inflammation. So, it is better to patch test before trying out the treatment. As per a study Phytotherapy Research published in 2003, the ingredients (camphor, menthol and eucalyptus) present in Vicks have effective results in controlling nail fungus. How to Use Vicks to Treat Nail Fungus? Using a spoon, scoop out some Vicks from the container. Avoid using a finger to scoop as you wouldn’t want to apply Vicks on the affected nail and again re-stick your finger back into the Vicks. Apply Vicks on the affected nail. Make sure to cover the complete nail, under the nail and down into the cuticle. To apply the Vicks effectively in the edges and under the nail, you can use an orange stick or cotton swab. Cover your toes or finger with a bandage/socks or gloves. This avoids staining your sheets and furnishing. Repeat the process 2 times in a day, once in the morning and once in the evening. Note: This process may take 5 months to show the improvement. For this treatment, you have to always use 3% hydrogen peroxide. The stronger versions of hydrogen peroxide more than 3% are not safe and can lead to irritations. How to Use Hydrogen Peroxide to Treat Nail Fungus? Rinse the nail using lukewarm water. Add few drops of hydrogen peroxide on a cotton pad. Place the cotton pad directly on the affected nail. Leave it on for 5 minutes and dry the nail using another cotton pad. Repeat the process 3 – 5 times in a day. Once the fungus clears, repeat the process once in a week for 2 – 3 months to prevent its formation in future. Combine 1 part each of hydrogen peroxide and water. Soak your toes or fingers in the solution for 15 minutes. Remove from the solution and let them dry completely. Repeat the process daily before going to bed for 6 weeks to notice the results. On the first day, soak the infected nail in enough amounts of 5% vinegar for 5 minutes. During soaking, press and release the nail few times to ensure the vinegar gets under the nail. Now, rinse with water and pat dry completely. On the second day, soak the infected nail in enough amounts of 2% hydrogen peroxide for 5 minutes. During soaking, press and release the nail few times to ensure the vinegar gets under the nail. Now, rinse with water and pat dry completely. On the third day repeat the first step. On the fourth day, repeat the second step. Repeat the same process for 3 weeks. Note: Don’t combine both vinegar and hydrogen peroxide as it forms peracetic acid which has different properties. Epsom salt contains anti-inflammatory, antifungal and antibacterial properties. It exfoliates the skin and nails gently to speed up the healing process. How to Use Epsom Salt to Treat Nail Fungus? Take enough water to soak your nails. Bring the water to boil and remove from the flame. Let the temperature of water reduce till your skin can tolerate it. Place your toes or fingers in the water and pour Epsom salt on the infected nails. Let the infected nails be fully surrounded by Epsom salts. It doesn’t matter how much Epsom salt is present in the remaining water. Make sure the concentration of magnesium (present in Epsom Salt) has surrounded the affected nail. Soak for 15 – 20 minutes, rinse with water and pat dry completely. Tea tree oil contains antifungal properties. Epsom salts softens the skin and nails which enable the tea tree oil reach the fungus present under the nail. Add handful of Epsom salts to a basin of water. Mix well until the salts get dissolved. Add few drops of tea tree oil into the solution. For a relaxing aroma therapy, you can also add few drops of lavender oil or any other essential oil. Let your toes or fingernails soak in the solution for 20 minutes. Dry the toes or fingernails completely concentrating more in between the toes. Let them dry completely before you wear shoes or socks. The fatty acids present in coconut oil insert themselves in to the fat layer of the fungal membrane which disturbs its cell integration and destroy the fungus. Coconut oil also contains antifungal properties. How to Use Coconut Oil for Nail Fungus? Scoop out some coconut oil, spread a thin layer on the affected nail and massage gently for few minutes to ensure the oil gets under the nails and behind the cuticles. If you have several infected nails, then soak a bandage in the coconut oil, wring out the excess and apply it to the nails and wear socks. Leave the application overnight and remove the bandage in the morning. Repeat the application or re-apply a fresh bandage 3 – 6 times in a day. Note: Once, the infection is gone and nail falls off, you can apply la of the infection and grow a healthy nail. ACV balances the pH levels which makes the environment vulnerable for fungal growth. As acv is acidic, it further makes it impossible for the fungus to survive. The nail or skin will not be damaged by the acidic properties of acv. How to Use Apple Cider Vinegar to treat Nail Fungus? Combine equal parts of warm water and apple cider vinegar. Soak your toes or fingers in the solution for 30 minutes. Dry your feet completely. Repeat the process 2 – 3 times in a week. Alternative: You can add 1/3 cup each of acv and Epsom salt to 2 cups of hot water. Use this mixture to soak your nails. Some people may not have enough time to soak the infected nails for 30 minutes. If you are one of them, then try this remedy. Pour 2 drops of apple cider vinegar directly on the infected nails. Let the nails sit for several minutes before disturbing it. Disturbance may not provide desired result. Repeat the process 3 times in a day until the infection clears. Drinking apple cider vinegar is potent to kill the internal fungus and bacteria. Regular consumption of acv helps to strengthen the immune system which deals with this issue from the inside. Add a tablespoon of apple cider vinegar into 8 ounce of water and drink it. Repeat it 3 times in a day. If you don’t like the taste of apple cider vinegar, then you can try its pills form. The combination of apple cider vinegar and Listerine heals the infection faster. Apple cider vinegar contains antifungal properties. It also balances the pH levels of the nail and skin. How to Use Apple Cider Vinegar and Listerine for Nail Fungus? Combine equal amounts of apple cider vinegar and Listerine. Apply the mixture on the nail and leave it to dry for 30 minutes. Repeat the process few times in a day to get relief from the fungal infection. You can add the mixture into a sterilized nail polish bottle and paint the mixture on the infected nail as you would like a normal nail polish. You can apply apple cider vinegar directly on the affected nail, if you can handle the strong nature of it. Baking soda contains fungicidal properties which prevent the fungus from growing and spreading. How to Use Baking Soda for Nail Fungus? Combine 2 parts of baking soda and 1 part of water (room temperature). Using a cotton swab or paint brush, apply the paste on the affected nails. Let it sit for 10 minutes. Meanwhile do your best to get the application beneath the nail by scrubbing or using a Q-tip. Rinse off the paste and pat them completely dry. Repeat the process 2 times in a day until you notice the results. Take enough bowl to soak your toes or fingers. Add 1 cup of apple cider vinegar and enough amounts of water into it. Soak your nails in the solution for 15 minutes. Remove the nails from the solution and pat them dry. Now add 4 – 5 tablespoons of baking soda to enough amounts of water. Soak your nails for 15 minutes. Pat the nails completely dry with paper towels or soft towel. Repeat the process 2 times in a day until you notice the results. Sodium borate or borax contains powerful fungicidal properties. When borax is combined with baking soda, it makes a very effective treatment. How to Use Borax to Treat Nail Fungus? Combine enough amounts of borax, baking soda and water to make a paste. Dampen your nails and gently rub the mixture on the affected nails for few minutes. Leave it on for another few minutes and rinse it off with water. Pat the nails completely dry. Repeat the process 2 times in a day for at least 2 weeks to notice the results. Being antifungal, honey heals toenail fungus by drawing out the toxins out of the foot. It also contains hydrogen peroxide which heals the wounds on the skin. How to Use Honey to Treat Nail Fungus? Pour a small amount of honey on the affected nails. Wrap the affected area with gauze. After several hours, remove the gauze and rinse the area with water. Pat dry completely. Repeat the process 2 times in a day until you achieve the results. For Added Benefits: you can treat this problem internally from by consuming a tablespoon of honey along with a tablespoon of apple cider vinegar daily. The antifungal properties of lavender oil are effective in treating mild cases of nail fungus. 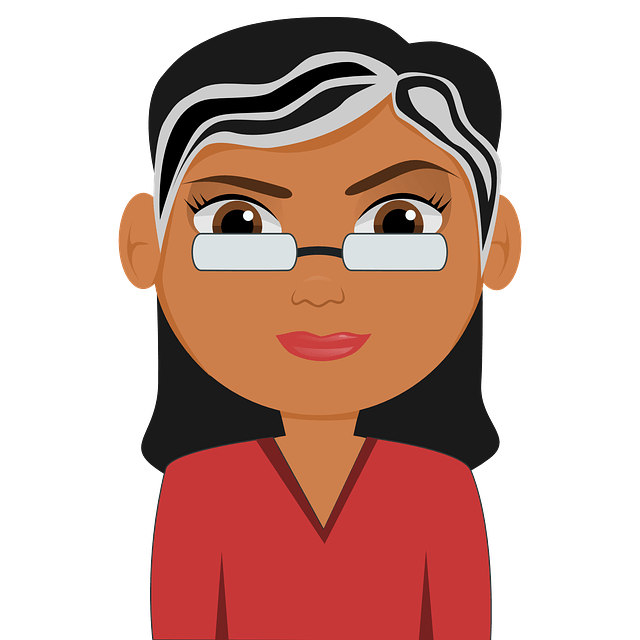 How to Use Lavender Oil to Treat Nail fungus? Add few drops of lavender oil directly on the affected nails. Cover the affected nails with socks or gloves. Repeat the process daily before going to bed. Though the nail looks healed, it may still have traces of the fungus. So, repeat the process for at least 2 weeks after the infection seems to be gone. Note: Avoid wearing socks that contain synthetic fibers. Make sure to wear socks that are made up of wool. Oregano oil contains antifungal properties which helps kill the fungus causing the infection. How to Use Oregano Oil to Treat Nail Fungus? Combine few drops of oregano oil into a teaspoon of carrier oil. Apply the mixture on the affected nails. Leave it to dry completely. Repeat the process 2 times in a day till the infection clears. Orange oil contains anti-fungal properties which kill the fungus and speeds up the healing process. How to Use Orange Oil for Nail Fungus? Using a dropper, pour few drops of orange oil on the affected nails. Leave the application for an hour to let it dry completely. Note: If you have sensitive skin, dilute orange oil with any carrier oil like olive oil in 1:1 ratio. Patch test before trying out the treatments. Avoid this process if you have citrus allergies. Corn naturally contains a form of fungus which is harmless to the human body but deadly to the fungus especially candida. How to Use Corn Meal to Treat Nail Fungus? Take a bowl enough to soak your toes or fingers. Add 1 cup of cornmeal and 2 quarts of water. Set aside the mixture for 1 hour. This allows the cornmeal to soak in the water. Soak the infected nails for at least 30 minutes. Rinse with water and pat dry. Repeat the process as often as you can. Lemon juice contains antifungal, antiseptic properties and citric acid which deals with the fungal infection. How to use Lemon Juice to treat Nail Fungus? Method 1: Squeeze some fresh lemon juice on the affected nails. Leave it on for 30 minutes. Rinse with warm water and pat dry. Method 2: Combine equal amounts of lemon juice and olive oil. Apply the mixture on the affected nails. Rinse off the application after 2 – 3 hours. How to Use Bleach to Treat Nail Fungus? Add 1 tablespoon of bleach to a gallon of water and mix well. Soak your toes or fingers in the solution for 20 – 30 minutes. Rinse with water and pat them dry completely. Repeat the process daily. Into a dark glass bottle, add 4 teaspoons of apple cider vinegar, 10 drops of lavender oil and 6 drops of tea tree oil. Close the lid and shake well. Now, add 1/8 cup (30ml) of distilled water in the glass bottle. Close the lid and shake the bottle again. Using a cotton ball, apply the solution the affected nails 3 times in a day. Make sure to shake well before each use. Diet plays an important role in controlling the bacteria and fungus present in our body. Some foods may control its activity while some foods may trigger its rapid growth. Antifungal Foods: Garlic, coconut oil, onion, carrots, raw honey contains antifungal properties so include them in your daily diet. You can add the antifungal foods in your daily food or consume them directly. For example, 2 – 3 tablespoons of coconut oil is enough or 2 – 4 garlic cloves crushed and mixed in honey. Some people don’t like eating raw garlic, they can take garlic supplements instead of it. Probiotics: When an imbalance takes place in healthy flora, then it leads to fungal overgrowth. Probiotics help to bring balance in the healthy flora. Greek yogurt, kefir, miso, sauerkraut and tempeh are some of the ways to incorporate probiotics into your diet. Seaweed: The nutrient rich seaweed, helps our body fight against the candida, removes toxic pollutants, heavy metals and cleanses the intestinal tract. It is rich in iodine which helps to balance the thyroid gland. People with candida often suffer from hypothyroidism. Olive Leaf Extract: Olive oil leaf extract can kill any virus, bacteria, protozoa and fungus. It not only kills the fungus but also cleanses and detoxifies the body. Sugar: Fungus grows and lives on feeding sugars. So cutting back the sugar consumption can starve out the fungus. Gluten: Fungus also feeds on gluten which is available in wheat products. So, reduce the amounts of gluten in your diet at least until the infection clears. The above mentioned remedies should be followed until the diseased nail comes out and new nail grows out completely. After each treatment, make sure to dry the nails properly as moist environments encourage fungal growth. Dry your nails completely after taking a shower or swimming. Avoid walking barefoot in public places like gyms, stations and malls. Clip and file your nails regularly. This helps to speed up the healing process and prevent the growth of fungus in future. Wear gloves while washing clothes and utensils. This keeps your nails dry. Wash your feet regularly with antifungal soap. Avoid wearing socks with synthetic fibers. Socks made with wool should be preferred. They help to provide enough air circulation to the feet. Always sprinkle antifungal powder before wearing socks. If you wear closed shoes daily, then spritz antifungal spray inside the shoe. Apply ozonated olive oil on the infected nails and gently massage into the skin. Repeat this process regularly to reduce the infection. Wash your socks and shoes regularly to get rid of any breeding bacteria and fungus. To dry the nails properly, use paper towels or a hair dryer (set to low temperature). Avoid applying nail polish or artificial nails to the affected nails until the infection clears. Prefer sandals instead of shoes if you can. Exposing feet to sunlight helps to clear and prevent the infection. Keep your carpets fungus-free by using hydrogen peroxide. Take multivitamins that include omega 3 oils, emu oil and primrose. This is also a great all-around skin care regimen. Which Natural Cure for Toenail Fungus Will You Try? Feeling encouraged that you’ll be able to get rid of toenail fungus fast? Did you find a fingernail fungus home remedy to try? Try any remedy and share your experience and suggestion in the comment section below. For me using tea tree oil is one of the best ways to fight nail fungus. The smell is a little strong, but it really works well. Soak in full strength listerine (dollar store version) 2x daily. About 5-10 minutes. I’m going to try for 20 minutes but I get restless. In the morning after soak, I use Schreiner’s herbal solution which if for animals. Used on horse hooves for fungus. In the evening after soak, I use Virgin Neem Oil under and around nail. My theory here is that one time I had a post surgical infection (internal) that didn’t respond to normal treatment. The doctor hospitalized me and we use 3 broad spectrum antibiotics, alternating them every 8 hours so the infection was unable to organize itself against any particular treatment because bam, we switched it. For the first time in 20 years I have black (getting better) on only two nails. 14 nails are clear. 6 vastly improved. This improvement was realized over a two week period. Best results yet. As I understand it, I have to continue treatment for about 9-12 months post completely clear in order to insure that it doesn’t come back. I hope this helps someone else, it’s the best results I have ever had with any product and I have spent hundreds and hundreds and followed regiments closely including the majority of the DIYs above. Best of luck. Hi. I noticed that on my light complexion skin there grows a round dark skin /discoloration and its spreading what can I use to get rid of it? As per your description, we recommend you to consult a skin specialist immediately. If the dark patches or moles are spreading, it can be due to some serious medical conditions.